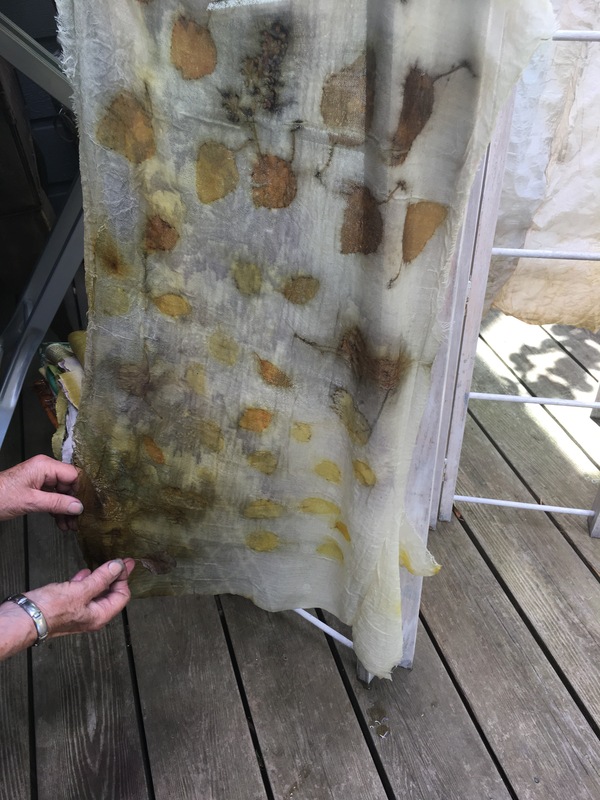 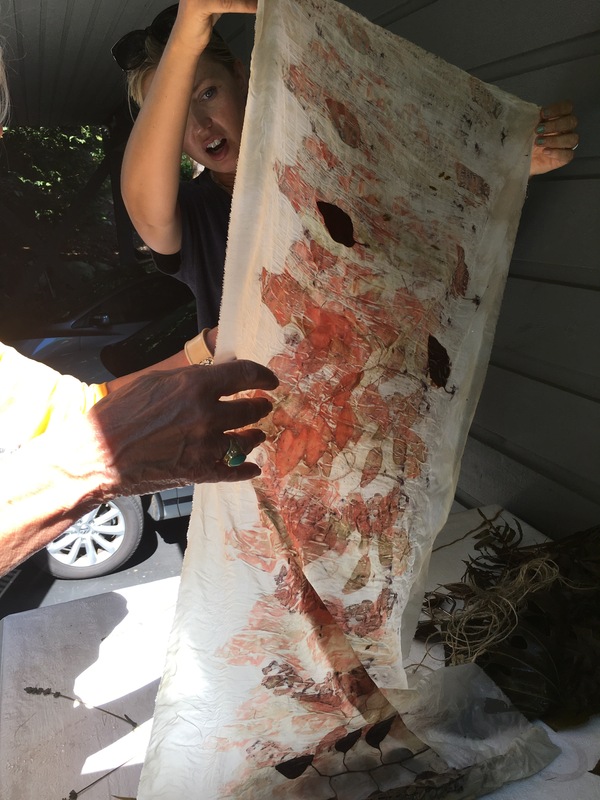 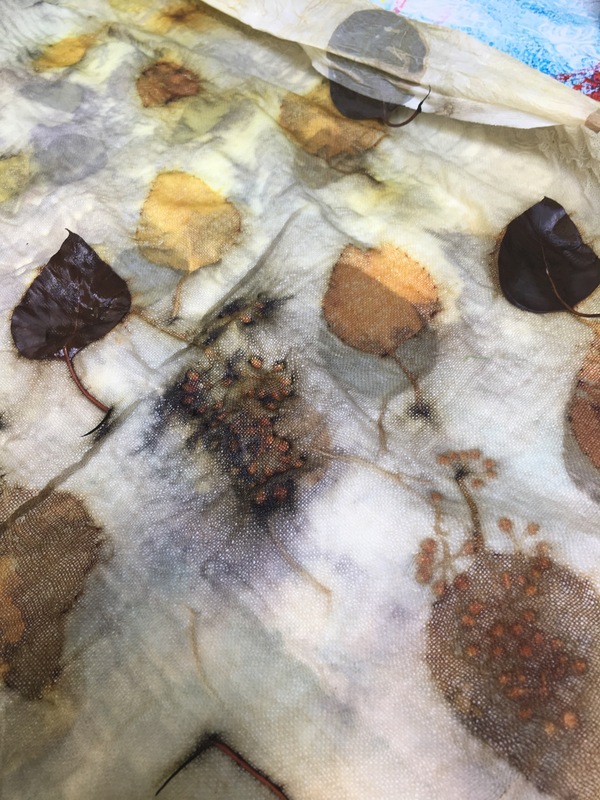 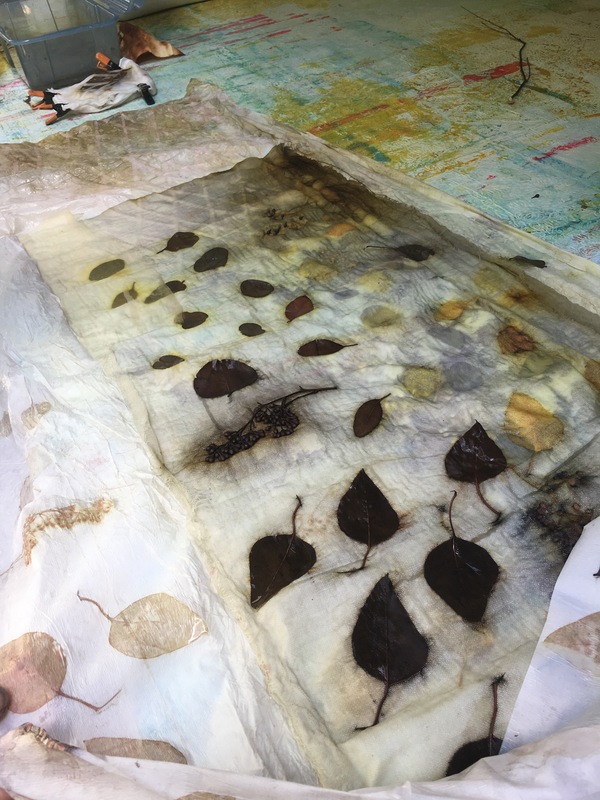 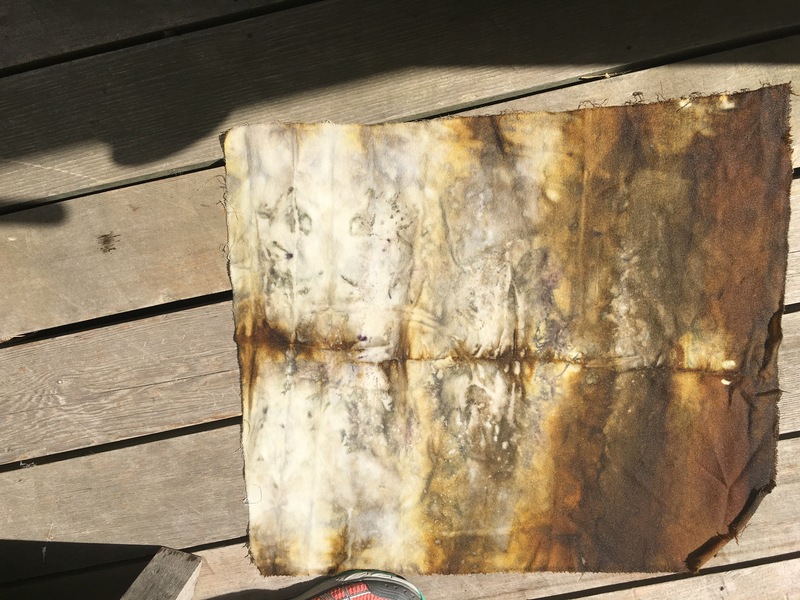 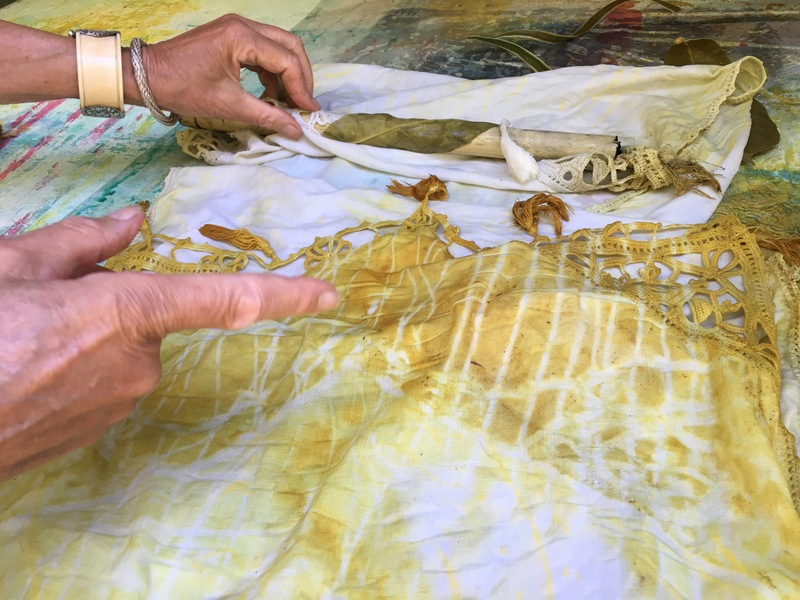 Eco printing with friends this week. 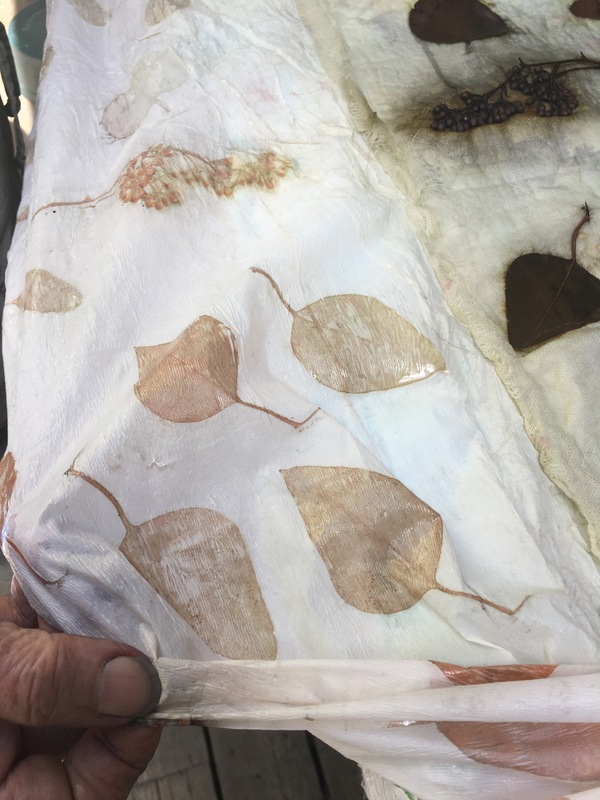 I promised to share a few pics of my results on Eco printing so here are a few samples that were successful. 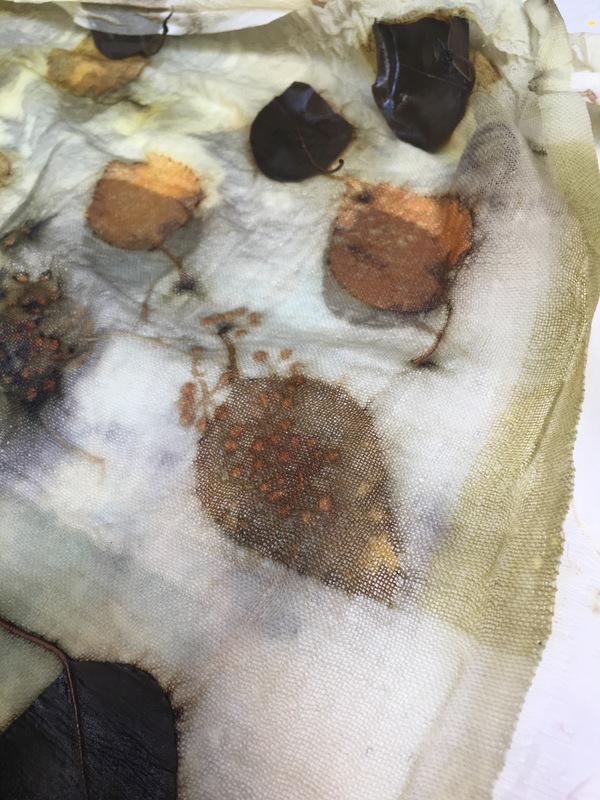 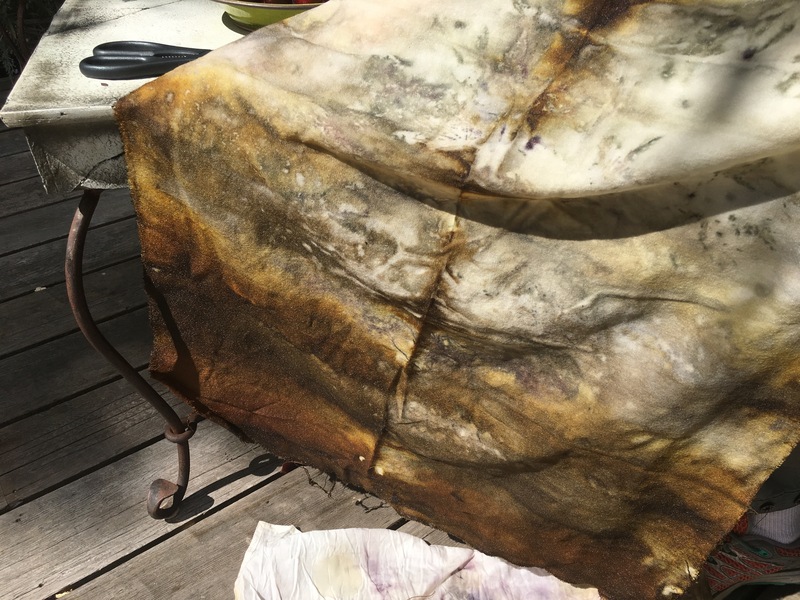 ← Silk Habotai with Soy Wax Batik and procion dyes.